Ways to become your own Boss! 115 Ways to become your own Boss! 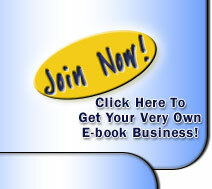 Fantastic eBook with 115 different ways of becoming your own boss! Tired of the same boring 9 - 5 job every day? Fed up of following a daily routine and having no time to do what YOU really want? Then you should think about working from home and becoming your own boss! This eBook will give you literally hundreds of different ideas, did you know that writers will pay you to read their books and then criticise them!? Its True! You could earn a living just by reading books, you can do this in your own time from home. This is just ONE of the 115 ways to become your own boss, there are so many different ideas in this eBook. You are alomst certain to find something to suit your needs, and at this amazing price how can you afford not to buy! Start spending some valuable time with your family or break away from that dull 9-5 job today and take the first steps to becoming your own boss!